The custodians of ICDs and CFSs, also known as Customs Cargo Service Providers (CCSPs), are responsible for providing the required infrastructure and security to the import/export goods being handled at their respective premises. The Container Corporation of India (CONCOR), Central Warehousing Corporation (CWC), Punjab Warehousing Corporation (PWC) and Balmer & Lawrie are among public sector enterprises which have a significant presence in the container logistics sector including ICDs and CFSs. Apart from these, there are a significant number of private logistics companies which have set up ICDs and CFSs as custodians. The Handling of Cargo in Customs Areas Regulations (HCCAR), 2009 provide for manner in which imported goods/exported goods shall be received, stored, delivered or otherwise handled in a Customs area. 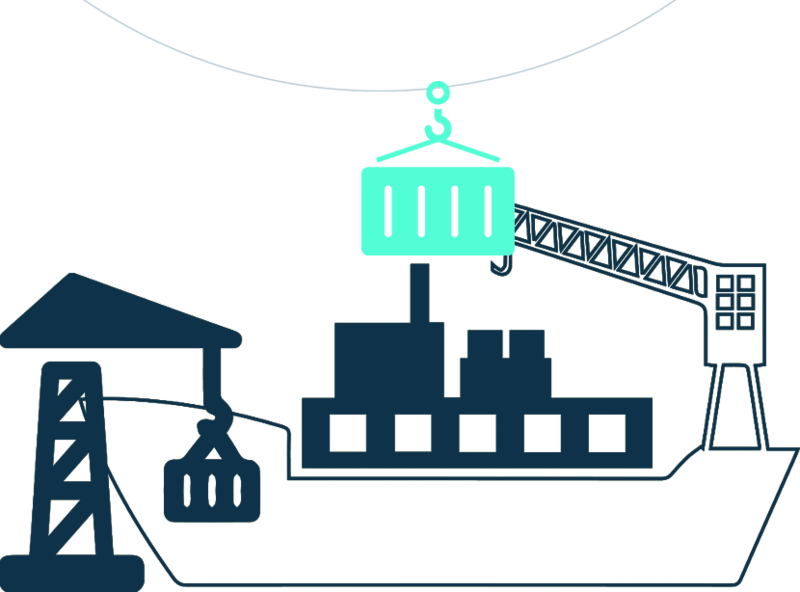 The CCSPs are required to ensure that adequate infrastructure, equipment and manpower is available for efficient loading, unloading, stacking, handling, stuffing and de-stuffing of containers, their storage, dispatch and delivery, including appropriate facility for handling hazardous cargo, connectivity with the Customs Electronic Data Interchange (EDI) system with power backup, etc. The premises within which an ICD or a CFS operates must be well secured and safe in respect of custody of the cargo, including avoiding pilferage and theft. The Customs set up in an ICD is meant for examination of containers including supervision of stuffing and de- stuffing of containers, assessment and clearance of goods. Customs staff is deputed on permanent basis or on cost recovery charges basis. In CFS, Customs functions are limited to supervision of stuffing and de-stuffing of goods and examination. Assessment and clearance of goods takes place through the main ports/ICDs to which a CFS is attached. Customs officers deputed on cost recovery basis or merchant overtime basis discharge customs functions in CFSs. The jurisdictional Customs Commissioner is responsible for ensuring that the custodians fulfil the requirements under HCCAR 2009.
provide efficient and seamless transport logistics. As per Rule-5 of HCCAR, 2009 the CCSP is responsible for the custody of imported goods or export goods and for handling of such goods in a Customs Area, shall provide infrastructure, equipment and adequate manpower for loading, unloading, stacking, handling, stuffing and de-stuffing of containers, storage, dispatch and delivery of containers and cargo etc. including standard pavement for heavy duty equipment for use in the operational and stacking area to the satisfaction of the Commissioner of Customs. ICD Kottayam, set up as a Public Private Partnership Project between the South Indian Chamber of Commerce & Industry and Kerala Industrial Infrastructure Development Corporation (KINFRA), a statutory body under the Government of Kerala, became functional from October 2009. The project was funded by ₹ 8.20 crore of Assistance to States for Developing Export Infrastructure and Allied Activities (ASIDE) funds, which is a Central Government scheme for promoting exports. It was noticed that though the ICD was projected to handle 9000 TEUs per year, only 9,159 TEUs were handled at the ICD during the five year period 2012-17, out of which only 609 TEUs (6.7 per cent of total volume) related to exports, and as against projection of more than thousand exporters availing ICD facilities, only 25 exporters had availed the facility till the time of audit. Audit found that basic handling equipment like Reach Stacker for lift-off and lift-on operations of containers were not available at the ICD. A Barge and Jetty, constructed at a cost of ₹ 2.51 crore for transportation of cargo between Kottayam and ICTT Vallarpadam through inland waterways, could not be put to use due to non-availability of crane for loading and unloading the containers to and from the Barge. At ICD Verna, Goa, Audit noticed that minimum infrastructure facility requirements of the HCCAR 2009 had not been fulfilled. The minimum area requirement was violated since the notified area under the ICD is only 1.2 hectare which is far below the minimum area requirement of 4 hectare for ICDs. Audit found that EDI connectivity though installed from April 2015, was not functional due to unresolved issues with BSNL. Thus, importers and exporters were filing their BEs and SBs manually at Customs House Marmagoa, Goa. The ICD had a single gate for entry and exit, though the HCCAR require that entry and exit gates should be different. The ICD had installed an electronic weighing bridge in September 2015, which was not being used by Customs authorities. DoR while accepting the audit observation stated (February 2018) that in ICD Kottayam at present there is no requirement of the crane for loading and unloading of container as the movement of containers through barges has not picked up. In ICD Verna, full-fledged EDI connectivity is in place, but for some technical issues manual permission was granted for clearance of cargo. Justifying use of gate for entry and exit of containers, DoR stated that it was done due to lower volume of cargo. DoC’s response further raises questions on the viability of these two ICDs. Regulation 6 of the HCCAR 2009 stipulates that it is the responsibility of the custodian to demarcate separate areas for unloading and storage of imported goods and exported goods as well as provide separate space for handling goods for auction. Similarly, according to CBEC Instruction No. F. No. 450/19/2005-Cus IV dated 23 July 2013, all custodians were required to provide separate and dedicated storage space meant for fumigation and storage of post fumigated sites to enable plant quarantine authorities to carry out necessary checks for both imported and export consignments. Board had also instructed Commissioner of Customs concerned to ensure that the directions were complied with scrupulously and immediately. Kolkata (Port) Commissionerate has stated (December 2017) that all CFSs have been instructed to immediately provide separate fumigation/post fumigation sites. CGST Commissionerate, Bolpur has stated (December 2017) that Custodian of ICD Durgapur has been requested to allot/demarcate an area for fumigation. DoR while accepting the audit observation stated (February 2018) that in Noida Customs, ICD Moradabad and Bangalore City Commissionerates, Custodians have now allocated/demarcated separate area for storage and handling of hazardous and non-hazardous cargo. CWC Panambur, Mangaluru Commissionerate and Shillong Commissionerate has been asked to provide separate demarcated area and ensure that HCCAR 2009 regulations are complied with. As per guidelines issued vide Circular No. 4/2011-Customs dated 10 January 2011 and Circular No.40/2016 dated 26 August 2016, the imported goods or export goods which are hazardous in nature, shall be stored at the approved premises of the CCSP in isolated place duly separated from other general cargo, depending upon classification of its hazardous nature and the space allocated for storage of hazardous cargo within the notified premises should be of proper construction including appropriate heat or fire resistant walls, RCC roofing, flooring. The provisions of the Hazardous Waste (Management, Handling, Transboundary) Rules, 2009 and the Manufacture, Storage and Import of Hazardous Chemical Rules, 1989 and other relevant rules and regulations prescribed by the Government are to be adhered to in respect of storage and handling of such goods. No relaxation or exemption from requirements on safety and security of premises are to be allowed by Commissioners of Customs to the Custodians in terms of provisions of Regulation 7 of the HCCAR, 2009. The CBEC has also instructed the Commissioners to ensure that provisions pertaining to safety and security of premises are complied with strictly at the time of appointment of CCSP and monitored thereafter. Review of such obligations of Custodians who have been appointed earlier in terms of proviso to sub-regulation (2) to Regulation 10 was also mandated. At CFS Gateway Distriparks Limited, under Chennai IV Commissionerate, no separate area to handle hazardous cargo was earmarked. It was stated (July 2017) that no such cargo was handled by them. 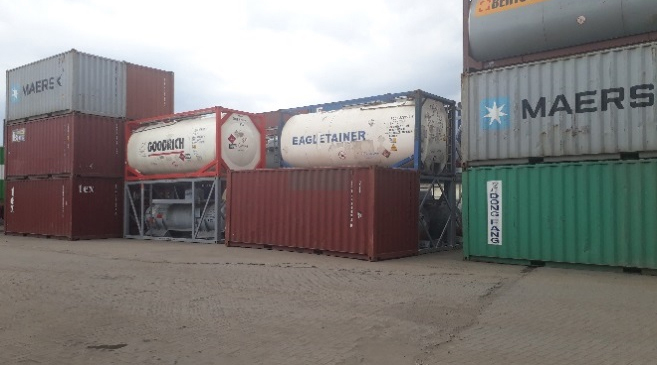 However, verification of uncleared cargo (UCC) files revealed that goods of hazardous nature viz., Phosphono Methyl Glycerine 2 Proplyamine (Glyphosate - 41 per cent) were imported and were lying uncleared. At ICD Patparganj, which does not have any separate area earmarked for storage/handling of hazardous cargo, hazardous cargo is kept in the open area outside the shed. Administrative buildings housing Customs and CWC offices, bank, etc. are situated adjacent to the cargo sheds within the cargo handling area which is a high risk area as accidents may occur during cargo handling activity. 30 containers containing flammable material like furnace oil, residue wax, base oil, etc. imported during the period 2000-2012 were lying undisposed at this ICD. These included 18 containers of furnace oil expressly declared as hazardous by Central Revenue Control Laboratory (CRCL). CWC, the custodian of ICD Patparganj stated that specific area for such cargo is under development but no such document was shown to Audit. At CFS Gateway East India Pvt. Ltd. at Visakhapatnam and CFS CMA CGM Logistic Park P. LTD, Dadri, NOIDA, hazardous cargo was stacked with the normal cargo in the same storage space and at CFS Sharvan Shipping Services Pvt. Ltd., Visakhapatnam, hazardous goods were stored opposite the main entrance of the CFSs along with other cargo, leading to a risk of collision with cargo trucks/trailers entering the premises. These CFSs does not have separate facilities for storage and handling of hazardous cargo. 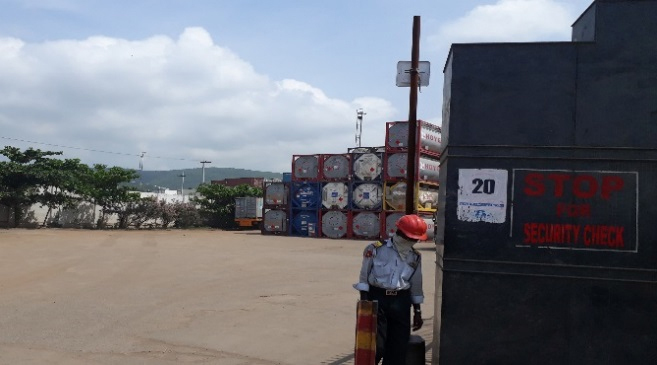 The storage and handling of hazardous cargo at ICDs and CFSs not equipped with separate storage and handling facilities for such cargo poses a high risk to the safety and security of both the men and materials at such locations. Moreover, since containerised cargo may at anytime turn out to contain hazardous cargo either due to genuine logistical errors or due to mis-declaration by unscrupulous importers, all CCSPs should mandatorily have facilities for storage and handling of hazardous cargo, irrespective of whether they normally handle hazardous goods or not. DoR while accepting the audit observation stated (February 2018) that in CONCOR (CFS) and Gateway CFS under Visakhapatnam Commissionerate, separate area has been earmarked for handling of hazardous goods and no other goods are stacked along with hazardous goods. In Sharvan (CFS) the pharma chemicals being hazardous goods were being stacked near the main entrance. In respect of ICD Patparganj, DoR stated that the Custodian (CWC) have advised their customers not to bring hazardous goods at this port since it is located in the heart of Delhi. DoR further stated that show cause notices are proposed to be issued for violation of HCCAR 2009 against concerned CFSs. DoR’s response is not acceptable as it does not address the serious systemic issue of lack of appropriate safety standards and practices by the custodians of ICDs and CFSs with regard to handling of hazardous goods. The Indian Customs EDI System (ICES) 1.5 is an integrated Information System (IS) for automation of Customs workflow, managed and maintained by the Directorate General of Systems and Data Management under the CBEC, through which the trading community can exchange information electronically with Customs and other stakeholders. Smooth functioning of the system with minimal downtime is crucial for hassle free trade by facilitating filing of documents, exchange of information between different stakeholders, cargo movement, Customs clearance, etc. Connectivity issues within the Customs EDI system itself, such as server failure, WAN connectivity issues, Indian Customs Electronic Commerce/Electronic Data Interchange (EC/EDI) Gateway (ICEGATE) issues, etc. The custodian is responsible for restoring the last mile connectivity by taking up breakdown issues with the local telecom service provider, while responsibility for ensuring restoration of ICES service rests with Customs, which is to be ensured through timely reporting of ICES service interruptions by raising of ‘Tickets’ with the DG (Systems) SI Helpdesk called ‘Saksham Seva’. Audit assessed the efficiency of EDI connections at the ICDs and CFSs selected for audit by looking at the frequency of breakdown, and the extent of downtime being reported. Information on maintenance of downtime records was received from 38 ICDs and 40 CFSs. Audit found that log books for local connectivity failures and/or ICES downtime were being maintained in only six12 out of 38 ICDs and three13 out of 40 CFSs which provided the information. However, the accuracy and completeness of even these few records was not verifiable in the absence of any laid down procedure to maintain a log of all such breakdowns and their duration. Moreover, neither any benchmarks/parameters nor any system has been devised by the CBEC to record and report on the slowness of connectivity which affects the Customs EDI connectivity at field locations. The Customs authority at ICD Durgapur stated that there were frequent and almost daily failures in EDI connectivity and repeated complaints were lodged with the EDI Helpdesk (Saksham Seva) but no manual records thereof were being maintained by the office. In most cases, the complaints were lodged over phone and as and when the problem was solved, the same was communicated (by Helpdesk) on phone. It was very difficult to maintain records of such phone calls. It was further stated that there was no such instruction to maintain record of complaints. 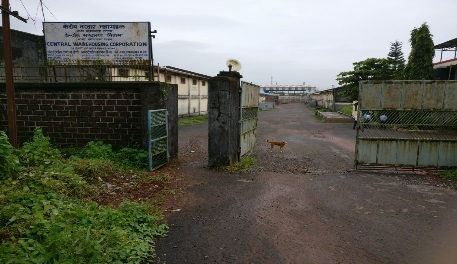 It was noticed in audit that this basic facility of EDI connectivity was not available at ICD Verna, Goa, under the Commissionerate of Customs, Marmagoa, at three out of the four CFS located at Haldia, West Bengal, (LCL Logistics Pvt. Ltd., A. L. Logistics, and Apeejay Infralogistics) under the Kolkata (Port) Commissionerate and at the CFS at Panambur, under the Mangaluru Commissionerate. Non-availability of EDI connectivity at the ICD and CFS premises renders it impossible for the Customs officers posted there to file cargo examination reports, grant Let Export Orders (LEOs) for export consignments, give Out of Charge (OOC) orders for import consignments, etc. in a timely manner, impacting the dwell time of cargo handled at such ICDs and CFSs. Audit noticed that in June 2017, 18 trade associations and major corporate houses had jointly sought the Prime Minister’s urgent intervention on the issue of frequent breakdowns in Customs EDI System/ICEGATE, stating that trade and industry was facing severe hardships in importing/exporting and clearance of consignments almost on a daily basis due to downtime of the Customs EDI System, which had led to increase in dwell time for clearance, resulting in a tremendous increase in transaction cost. The representation further stated that although Trade and Industry had been regularly addressing the matter to the CBEC, the incidents of downtime had become more frequent. Due to non-availability of downtime data with the ICDs/CFSs, the location-wise data on number of tickets raised for complaints relating to ICES unavailability received from various ICDs and CFSs and their resolution times was called for from the DG (Systems) in September 2017, but the information is still awaited. DoR in their reply (February 2018) stated that the observation of the Audit that no system has been devised to record the issues of slowness of connectivity is incorrect as the infrastructure has been provisioned by DG (Systems). There is a continuous monitoring of the quality and availability of the network connectivity (provided by DG, (Systems)) at a particular location. Such information for the planned and unplanned downtime as well as network connectivity provisioned by DG (Systems) is systematically maintained and is readily available with DG (Systems). However, information asked for by Audit on the location-wise data on number of tickets raised for complaints relating to ICES unavailability received from various ICDs and CFSs and their resolution times has not been provided till date. Audit noticed cases of ICDs set up but not functional as requisite infrastructure had not been provided which rendered the entire capacity created unutilized. Demarcation of spaces for specified activities, including segregation of space for handling hazardous cargo as required under HCCAR 2009 was not done by a considerable number of ICDs and CFSs posing risk to life and environment. EDI connectivity which plays a very important role in facilitating speedy clearances for imports and exports, needed to be monitored continuously. However, no instructions were issued by the CBEC for maintenance of EDI downtime records at the EDI locations from which the extent of non-availability of EDI facility can be ascertained and monitored locally. Moreover, the DG (Systems) does not share information on extent of EDI downtime with any of the stakeholders and there is no transparency in the performance of the DG (Systems) in this regard. Segregation of spaces for specified activities including handling of hazardous goods is an important requirement for safety of personnel and prevention of environmental hazards. CBEC may consider introducing a penal clause under HCCAR for CCSPs found flouting these requirements. DoR in their reply (February 2018) stated that penal provisions already exist in the Handling of Cargo in Customs Areas Regulations. Further, all jurisdictional Chief Commissioners shall be asked to monitor the performance of the ICDs and CFSs in their jurisdiction in terms of the provisions under the Handling of Cargo in Customs Areas Regulations. Information on downtime in all EDI locations should be readily available to all users and stakeholders as Customs EDI system is critical to expeditious clearance of cargo. CBEC may consider making it mandatory for all EDI locations to maintain a system downtime database and share this information publicly as part of performance measure of CCSPs. DoR in their reply (February 2018) stated that there is a continuous monitoring of the quality and availability of the network connectivity (provided by DG (Systems)) at a particular location. As indicated above, such information for the planned and unplanned downtime as well as network connectivity provisioned by DG (Systems) is systematically maintained and is readily available with DG (Systems). However, this information is awaited. Undue advantage to the importers under Section 23 of Customs Act, 1962.